Accuracy is essential to any good watch but keeping them in a standard watch box means they’ll most likely wind down and lose “time”, which is inconvenient for your on-the-go lifestyle. That’s why we created the Boxy Fancy “Brick” Watch Winder, a universal automatic winder that keeps your watch on time, powered up, and ready to go even when you haven’t worn or touched it for days or weeks on end. This innovative AC powered unit stores, displays, and winds your watch in a beautifully elegant iron gray casing that features a see-through face to make it easy to see it inside. Better yet, it lets you choose between clockwise, counterclockwise, and bi-directional settings—as well as 15 programmable turns-per-day choices—to ensure your watch is running smoothly no matter what time of day it is. A truly unique watch winder with unmatched style and versatile functions, this unit can be used alone or stacked on top, or to the side of others, allowing the safe pass-through of electric current when paired with power extension trays. Seiko Kinetic watches cannot be used with Boxy watch winders. Excellent product, working as advertised. I would have given a 5 but I did not receive the free power station with my winder. I bought this winder and have been very pleased with it. I have for of these in various colors and all of them are sitting on the side table next to my bed. One thing you will notice immidately on how quiet they are!!! Plus I also noticed options for setting number of rotations are a lot more flexible then compared to other more expensive winders. I would recommend these to any watch collector. There are well built and take watched of various sizes and thickness. Price is reasonable as well. Service provided by this site is awesome. I would recommend these to anybody who is looking for a well made watch winder. 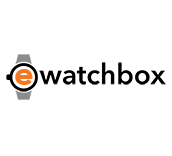 I purchased a Full, and Addon Boxy Fancy Brick Watch Winder for my husband for Christmas. This was the absolute best option as the Power station then comes for free. This gave the ease of only 1 plug, but the flexibility of having seperate units with seperate motors. This is his first experience with a watch winder, but these are great. Quiet and simple to operate. Definitely would recommend these to anyone with multiple automatic watches! I ordered this winder and love the look of it. Lots of rotation options. It's very easy to use. Originally the first winder I received had a small issue and Jon was quick to help and had everything sorted out really quick. Second one is working perfectly and is doing it's job well. Will deffinatly be buying another one in the future. Am happy with the design, features and value of the winders and of the system overall. Have read about some models from various makers that fail after only a year or so. While I certainly hope to get much longer service from these Boxy units, at least I know if one fails, it can be replaced without losing the whole array of four (or more). I do have one minor disappointment with this order... More accurately, with the web site. The product photo that represented the Gray color option was actually a black one. This led me to believe the color being called gray was very dark-- almost black, which appealed to me. Of course now that I have received them, I know the picture was incorrect and the gray color option is actually a light gray.